Posted on March 6, 2019 at 3:03 pm. We are working with MakeSoil.org to help to create soil-making hubs in Lambeth’s community gardens. 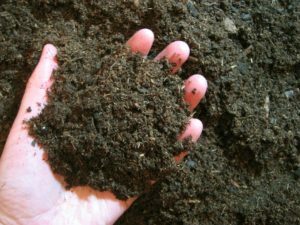 MakeSoil.org has been set up to help move away from the negative connotations of compost – that it’s smelly and slimy, and attracts rats. As gardeners, we all know the incredible benefits of creating good compost and MakeSoil is suggesting we can make even more lovely, nutrient-rich soil by inviting our neighbours to deposit their food waste in our bins. There will be plenty of questions about how this will be regulated – which is why IEL are planning to hold workshops and bin-building sessions to help community gardens become hubs. Do you think your community garden would like to become one of the first city hubs? We are looking for volunteers, and will support you through the process. It’s pioneering stuff! We are offering a reward to the first five gardens who sign up! Watch these videos from MakeSoil.org to find out more and email us for further information and an expression of interest.